How do we define memories? How do we remember events, times, places, people? How is it that a fragrance, a taste, a picture, a thought can take us back to a different time, a different place? It was a simple question, asked by Elizabeth Ng from CBC Radio that got me thinking. A few weeks ago, Elizabeth contacted me to see if I would be interested in an interview project she was working on. She wanted me to make a dish that brought back to me vividly, memories of my home and family. She was hoping to talk to my mum as well, and having me make the dish at the same time. I loved the idea of the interview, and agreed almost immediately, and called my mum excitedly. Mum was pretty chuffed as well, but then asked me what she thought the dish that defined my childhood - and hers - was... and we both thought that it was this chickpea dish. My grandfather was a wedding chef. He was the person that people called when they were hosting large dinners (and I mean large, Indian style - between 500, 1000 people or more) This was one of his signature dishes, and while it is by no means an original one (a lot of Mangalorean wedding chefs have similar recipes) its the one that stayed with me, in its simplicity, but also its evocative fragrance that takes me right back to the kitchens of my mother and my grandparents. Mum and I had both differening memories of this dish. My mum talked about how she remembered going to large wedding feasts with my grandfather, and how he would split ingredients around his helpers and make sure everyone was doing what they were supposed to. She described the heat, the noise, the glow of the firelights as everyone worked the night to make sure the feast was ready for the next afternoon. And while she spoke, I saw my grandfather, in his quiet, soft spoken, yet commanding way ordering everything about, with his basket of spices and meats. I saw him wringing the neck of a freshly bought chicken, then plunging it into hot water and defeathering it... with me being co-opted in to do the little ones that were hard for his large hands. I saw him tasting, spicing, salting, mashing... I remembered so much, so many memories! I also remembered my grandmother's food. She was the cook to my grandfather's chef. She was gentle, and delicate in her ways. She fed us congee and pickles and papads and kharam. She made the food we ate everyday and took for granted, just like my mum did all her life. I have been actually writing all of these memories down, as I don't know when I'll have the time to sit and remember... with life racing by at a frantic pace. Isn't it amazing how talking to a third person suddenly brings out emotions we thought we could never articulate? My mum told me that she was proud of me. That I had inherited the culinary talents of both my grandfather and grandmother. She's never said that to me before. Ever. It means so much more than if she'd said it everyday, and it still makes my heart do a little leap. Weird!! If you are in Edmonton, tune in to CBC Radio Edmonton 93.9 FM to listen at 3.50 PM today. Its on Radio Active, broadcast between 3 - 6 today, and will be in a few different segments. Here's the link to the full interview on Radio Active. You do need Flash Player to listen to the piece. Heat the oil or ghee in a sauté pan, and add the onion. Fry for about 5 minutes, then add the chopped tomato, if using, and the bafat spice mix. Fry gently for about 5 – 7 minutes, then add the chickpeas, tamarind concentrate and hot water. Cook together for 2 – 3 minutes, then add the grated palm sugar. Stir, then season to taste with salt. Add the desiccated coconut, and stir together until the coconut starts absorbing some of the sauce. Stir in the caramelized onions. Meanwhile, heat the oil for the garnish in a small pan, and add the curry leaves. Fry together for 30 seconds, then pour it over the chickpeas, with a quick stir. Serve with rice or Indian breads. Congratulations Michelle !!! You're putting mangalorean cooking on the world map . I gave a friend at work your key lime pie recipe and a link to your blog the other day . Was so proud when I told her you're a friend of mine . 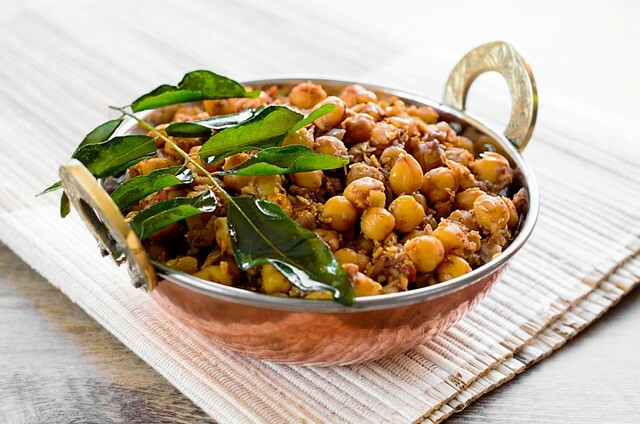 Lovely chana recipe . I usually go for the ladies club book wedding chana recipe but will give this a try . Those are wonderful memories and a lovely read as ever. And that's a fine dish to pin memories on. I've just realised that your bafat mix contains star anise and I definitely like the sound of that. Great job Michelle!!! I listened to you on my way home from work!! Your recipe looks and sounds absolutely delicious!!!! Wow- stumbled upon your blog as I was writing up a recipe for spiced baked beans and decided to see if anyone has a recipe for the actual baked beans. I am going to make them soon!! Loved all your articles. I love chick peas and usually make them the Gujarati way. I am going to book mark this recipe to try soon. Chickpeas are so nutritious. This recipe would suit for breakfast. I can prepare it easily with available ingredients in my kitchen. 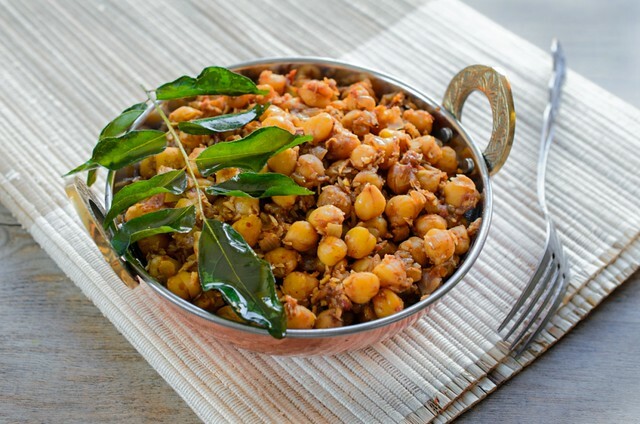 Love Indian food and I love chickpeas, so this is a must try. I've bookmarked this! Curry leaves are really hard to find here though. Anything I could replace them with? I LOVE this kind of food writing! Wonderful! Actually I have heard about this recipe but I couldn’t prepare it myself because I didn’t get a proper recipe to do it. But now I can try this and hope I can prepare it well.